(Reuters) – The U.S. Food and Drug Administration on Monday proposed excluding three substances from a list of ingredients that could be used to manufacture compounded medications in bulk for use by hospitals and doctors’ offices. The action was the first time the regulator has moved to exclude any substance from a list of ingredients that may be used to produce in bulk compounded medications that do not need to go through the agency’s safety approval process. Those substances included vasopressin, the active ingredient in Endo International Plc’s blood pressure drug Vasostrict, which has been the subject of a lawsuit by the company targeting how the FDA regulates drug compounding. Shares of Endo jumped 5 percent. The other two substances are bumetanide and nicardipine hydrochloride, which the regulator said are also ingredients of one or more FDA-approved drug products. On Aug. 13, Buffalo, New-York-based pharmaceutical company Athenex Inc said it had begun selling a compounded formulation of vasopressin that could compete with Vasostrict. 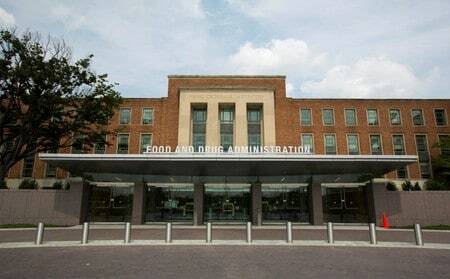 Its stock price fell 1.43 percent to $14.45 on the news of the FDA’s proposal. Endo, which reported $399.9 million in Vasostrict sales in 2017, said it was “extremely pleased” with the FDA’s proposal. Its stock price mid-Monday was $16.33, up 5.08 percent. Athenex did not respond to requests for comment. Compounded medications are custom-made medications that traditionally were formulated by pharmacies for specific patients. By 2012, the practice had mushroomed, with some pharmacies selling thousands of doses of regularly used mixtures for physicians to keep for future use. That year, there was a fungal meningitis outbreak caused by tainted steroids made by a compounding pharmacy. That prompted Congress in 2013 to pass a law aimed at bringing more compounding pharmacies, traditionally overseen by states, under FDA oversight. The law, the Drug Quality and Security Act, created a category of “outsourcing facilities” that could register with the FDA and sell products in bulk while following federal manufacturing standards. The FDA was also required to determine that bulk compounding using a drug substance was necessary to satisfy an unmet “clinical need” and include those substances on a list. Under an interim policy, it allowed use of substances with no major safety issues, that compounders could nominate for eventual inclusion on the list. Endo sued in October, claiming the FDA was authorizing the compounding of hundreds of drugs without proper evaluation, including “essentially a copy” of Vasostrict by another company.